The Federal Highway Administration's (FHWA) Every Day Counts (EDC) Program aims to accelerate the deployment of innovative practices that focus on reduced project delivery schedules, increased roadway safety, reduced congestion, and/or enhanced environmental sustainability. The Smarter Work Zones (SWZ) initiative is one of the three innovations focused on safety and mobility under round three of the EDC Program. The SWZ initiative was developed to promote safe and operationally efficient work zones through project coordination and technology application strategies. This fact sheet focuses on the Illinois Department of Transportation's (IDOT) use of Highway Safety Improvement Program (HSIP) funds to deploy technology applications in work zones. HSIP is a core Federal-aid highway program aimed at significantly reducing traffic fatalities and serious injuries on all public roads. HSIP funds are administered by State departments of transportation (DOT); eligible projects include those that are consistent with a State's Strategic Highway Safety Plan (SHSP), are data-driven, and contribute to a reduction in fatalities and serious injuries. Nationwide, State DOTs typically receive over $2.4 billion in HSIP funding annually to implement highway safety improvement projects. In 2015, the Illinois SHSP listed work zones as one of its primary emphasis areas. 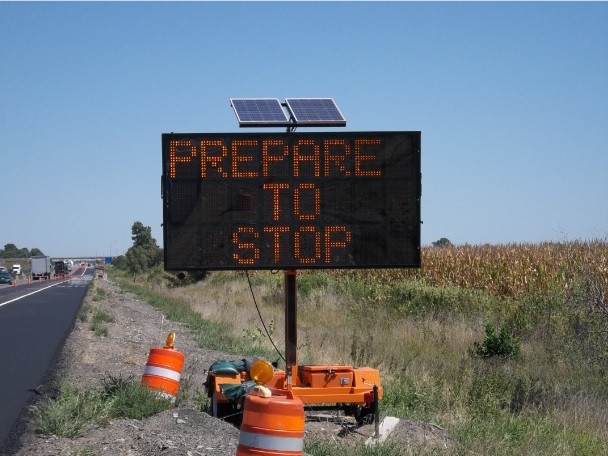 To support this emphasis on work zone safety, IDOT encouraged its districts to pursue using HSIP funds to finance innovative on-call procurement methods for small-scale and short-duration work zone ITS initiatives, if needed. If a district chose to pursue this funding source, they were required to complete an application for HSIP funds and provide documentation and justification for using this technology. Districts seeking to use HSIP funds were required to provide five years of crash data, including the number and severity of injuries on the roadways for which they intended to use work zone ITS technologies. 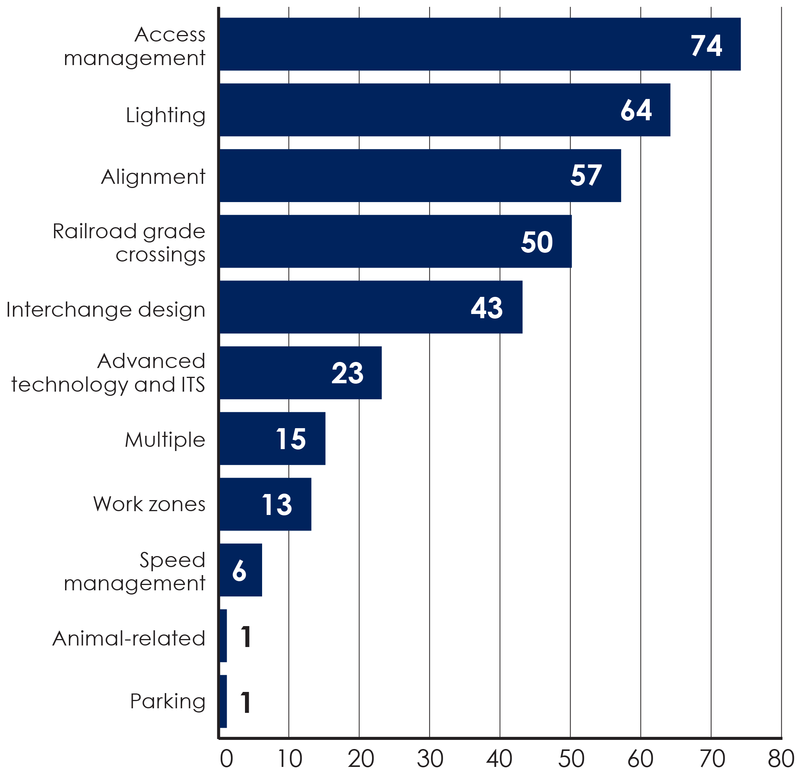 This crash data was used to develop a benefit-cost ratio for implementing these technologies, which was submitted in the application process to IDOT's Safety Committee. Upon application approval, each funded district sought competitive bids and subsequently awarded the on-call contract. In total, IDOT allocated $837,000 in HSIP funds to deploy on-call procurement contracts for work zone ITS. Each on-call contract is performance-based and requires the selected contractor(s) to install, maintain, and pickup/remove a Smart Traffic Monitoring System. The Smart Traffic Monitoring System consists of four Smart Traffic Monitoring Devices that collect real-time vehicle data, actual traffic delay times and distance within one-half mile of stopped or slowed traffic, and travel times to major destinations. Changeable message signs (CMS), using a typical deployment design (i.e., four portable signs) and a call-out basis for repairs, maintenance, and activities to mobilize personnel, equipment, and supplies to a specified site, are also included within the contract. To deploy a smart work zone, IDOT provides notice to the contractor at least one week in advance. The contractor is then paid for mobilization costs under the call-out item, and a daily rate for the smart work zone and CMS. To date, three of IDOT's nine districts have advertised bids using the on-call service format (Districts 1, 8, and 9) and several other districts are preparing to implement similar contract vehicles soon (Districts 2,3, and 5). Based on an interview with IDOT's Expressway Traffic Operations Engineer, Matthew Daeda, the on-call contract has been a great tool for providing drivers with advanced warning and for mitigating queues caused by various work zones. For example, IDOT's District 1, which includes the populous city of Chicago, used the contract to support lane closures for annual/bi-annual bridge inspections. To complete the bridge inspections, lane closures are required during daylight hours to allow inspectors ample visibility. In the past, these closures have caused excessive gridlock; however, having the on-call work zone ITS contract in place has mitigated many crashes and queues associated with the bridge inspections. When asked about the benefits of using this procurement method, Daeda explained that IDOT only incurs costs when the system is needed. The districts can work directly with the vendor, which has streamlined communication. Also, local businesses are more likely to win the bid, which has significantly improved district-vendor response times. While the on-call work zone ITS contract has certainly produced a wealth of benefits for IDOT, there have also been several lessons learned. Daeda recommends that State DOTs seeking to implement similar on-call work zone ITS contracts add a pay item for supplemental sensors, add a pay item for relocating systems/devices under a single work order, add a quantity item for cameras and camera trailers, specify a timeline for each work order to reduce possible delays, and include language in project specifications that details how contractor coordination will take place if a single ITS system is operating across multiple active construction projects. As demonstrated by the IDOT example in this fact sheet, leveraging alternative funding sources and contracting approaches allows for enhanced project flexibility in both planned and unplanned work zone events. Every Day Counts (EDC), a State-based initiative of FHWA's Center for Accelerating Innovation, works with State, local and private sector partners to encourage the adoption of proven technologies and innovations aimed at shortening and enhancing project delivery.